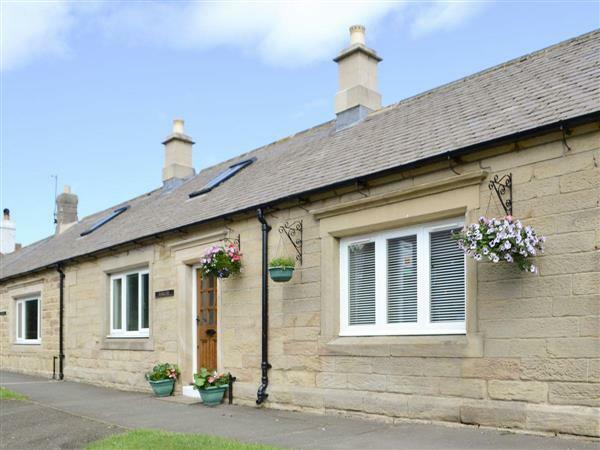 Barkers Cottage in Ellington, near Druridge sleeps 4 people. Only a short drive from Druridge Bay, this character terraced property is an ideal holiday base for exploring the enchanting county of Northumberland. Opposite the village pub in Ellington, this charming cottage can be booked with property 27128 to accommodate up to 8 guests. It has a central location to explore the magnificent heritage coast, an Area of Outstanding Natural Beauty, with endless sandy beaches, majestic castles, traditional fishing villages and friendly coastal villages. The Northumberland National Park, Cheviots and Pennine Hills, or Hadrian’s Wall are easily accessible for a day trip. Shop, pub and restaurant 50 yards. Ground floor: Living/dining room. Kitchen. Separate toilet. First floor: 2 bedrooms: 1 double, 1 twin with sloping ceiling. Bathroom with shower over bath and toilet. Gas central heating, electric, bed linen and towels included. Freeview TV. DVD. Electric cooker. Microwave. Washing machine. Dish washer. Sitting-out area. On-road parking. Cycle store by arrangement. No smoking. Holidays run from Friday to Friday. For a better idea of where Barkers Cottage is, you can see Barkers Cottage on the map below. Barkers Cottage is in Northumberland; should you be on the lookout for a special offer, you can find all the special offers in Northumberland. It's always worth checking to see what is on offer at the moment. Do you want to holiday near Barkers Cottage (27125), you can see other cottages within 25 miles of Barkers Cottage; have a look to find your perfect holiday location.